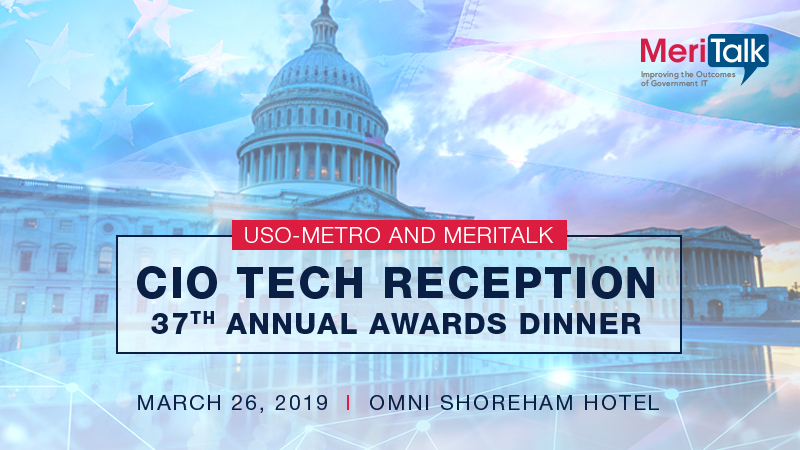 USO-Metro and MeriTalk are joining forces to host a CIO Tech Reception, happening before the 37th Annual USO-Metro Awards Dinner. Join us as we bring together CIOs and tech leaders from across the Federal government to celebrate mission and honor our military and their families. This black tie reception will take place at the Omni Shoreham Hotel in Washington, D.C. at 5:00 p.m. Raise a glass, support our troops, and meet the Federal tech leaders at this year’s Annual Awards Dinner.